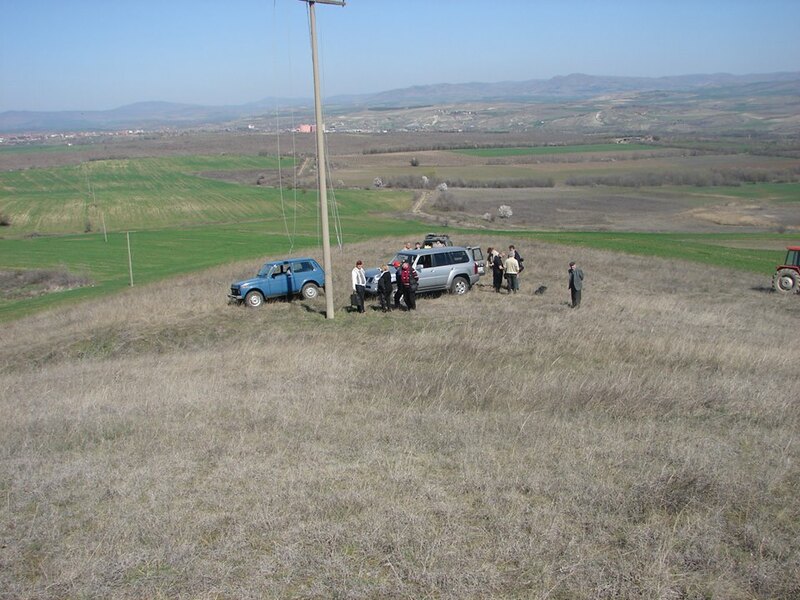 In March 2014 some members of SB Research Group (Slobodan Mizdrak and Heikki Savolainen) participated to an archaeoacoustic mission to Macedonia for analyzing a geoglyph in the region of Sveti Nikole. This mission was organized by the Croatian historian Domagoj Nikolić and supported by Macedonian authorities. 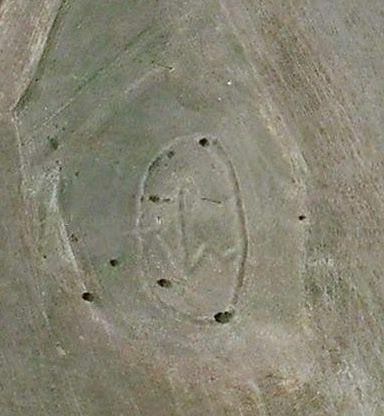 The geoglyph is visible only by sky and is placed on a little hill (see the images below). 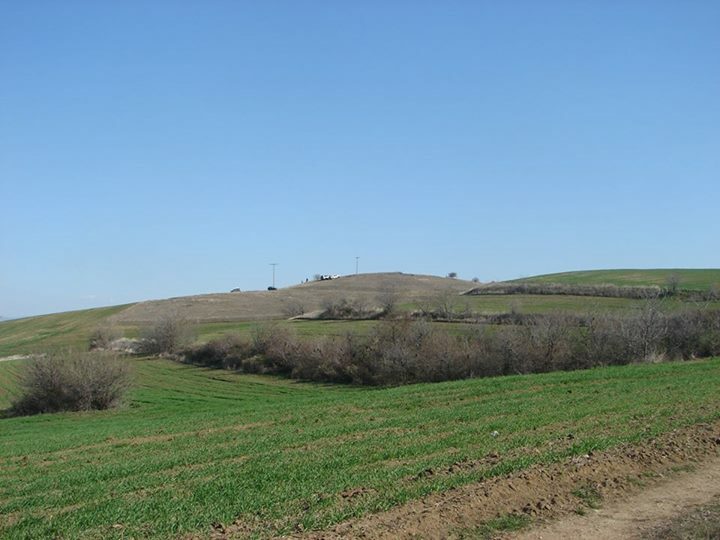 This hill looks to be artificial as a tumulus and the composition of the soil is different from surrounding fields. 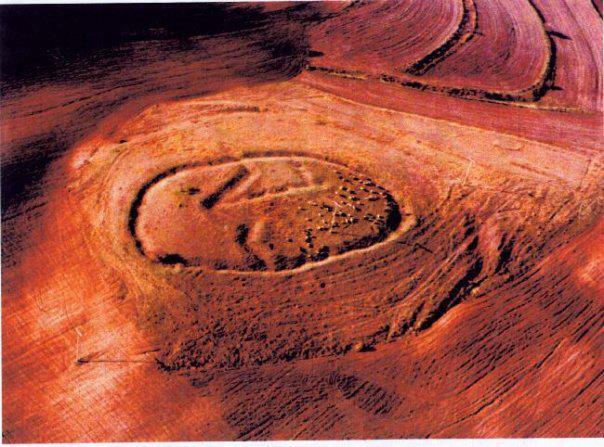 This ancient tumulus seems to have some archaeoacoustic and physical properties. Thanks to the help of our members and their devices, in particular the new 3D sensors built in Demiurg laboratory which transform the radio wave signal into audio signal, these properties were analyzed very deeply. These spectrum diagrams, you can see above, show the difference between Demiurg 3D-EM sensor data measured on the top of the geoglyph and on the location 300 mtrs away, so called “local baseline”. Top data shown here is from the first spot of the triangular three EM measuring spots. 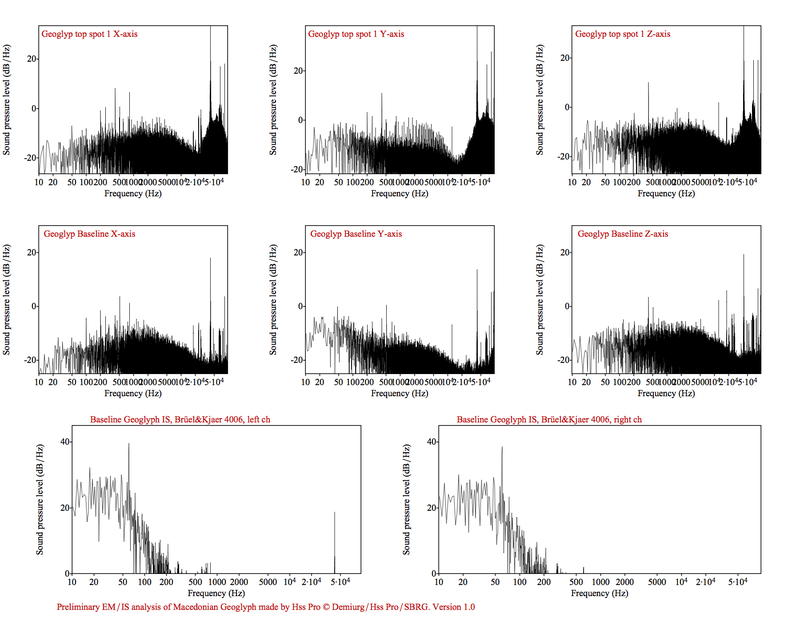 Also stereo infrasound baseline data is presented. GPS data is not present in this. This mission was followed by Macedonian media in all aspects. 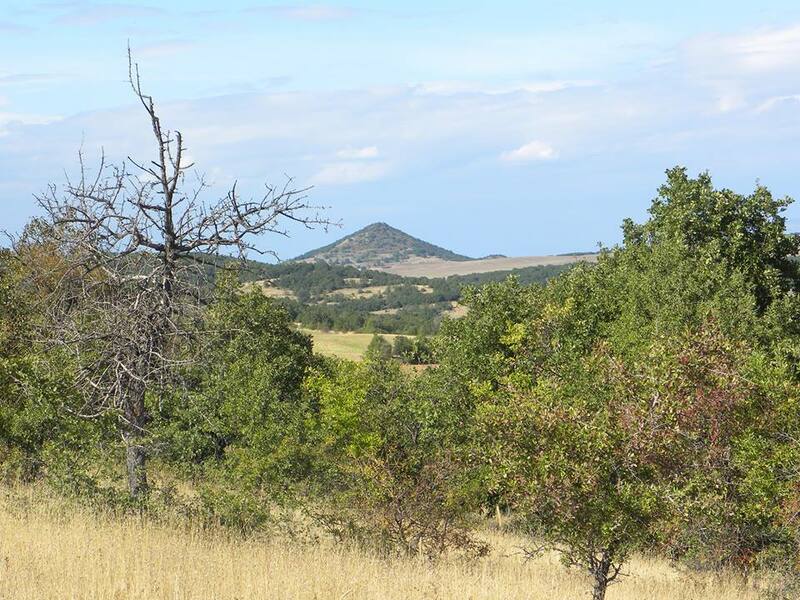 All the data recorded on the tumulus were delivered to the Museum of Sveti Nikole for a deeper analysis and publication. 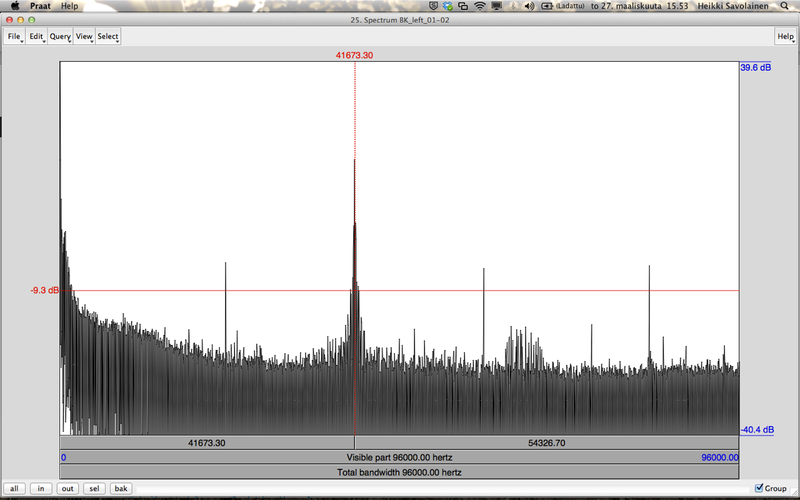 Ultrasound, triangular comparison and binary analysis are in progress. 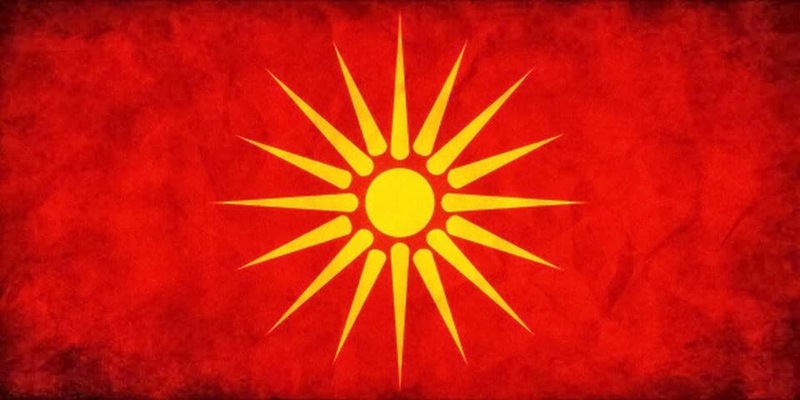 The preliminary results have been presented at the end of this mission in a lecture at the Faculty of Electrical Engineering and Information Technologies in Skopje by the researchers. You may listen the radio signal found on the top of the tumulus and transformed into audible signal by the devices of the research group here.